Posted on: February 9, 2018 By: Christopher Brown, Esq. Many of us have heard on cop shows the terms probable cause and reasonable suspicion. And most often than not, people have a tendency to confuse one with the other considering that the two are connected to varying levels of suspicion. While you might think that a law-abiding citizen like you should not concern yourself with these terms, it pays to be knowledgeable about the law. So, what are they and how are they different from one another? Reasonable suspicion is a presumption that a crime has occurred (past), is occurring (present) or will occur (future). It is also defined as a standard or lower level of suspicion with reasonable belief based on circumstances or facts. Having said this, reasonable suspicion is similar to a hunch or guess but is less than the probable cause. On the other hand, probable cause is a higher level of suspicion that is supported by facts and circumstances that a crime was, is, or will be committed. If a suspect has probable cause, he or she is more likely than not to commit a crime. Thus said, the probable cause points to the fact that the suspect has the mental capacity, apparent opportunity, and capacity to perform the crime. You have to take note that if there is a probable cause and if the grounds are satisfied, the police can file a search warrant or arrest a suspect. The thing is that both do sound similar because there is suspicion about the crime being committed by an individual. But you have to note that while reasonable suspicion works on the ground of presumption–a hunch, probable cause has more logic involved. This means that there is more concrete evidence present that a crime was, is, or will be committed under the probable cause while reasonable suspicion is just a broader interpretation. So why do law enforcers still use reasonable suspicion if probable cause has more logical basis? It helps law enforcers identify a particular suspicion indicating that it appears that a crime has been committed thus justifying the investigation of suspicious behavior when a crime may have been committed. 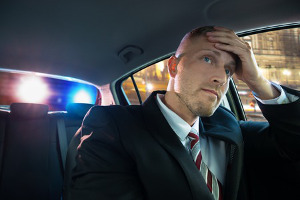 What Happens If There Is Reasonable Suspicion or Probable Cause? As mentioned in the previous paragraphs, only the probable cause can be used as a basis to acquire a search warrant or arrest the suspect. When it comes to the reasonable suspicion, the police can only stop an individual and ask questions about the crime. Individuals can also be temporarily frisked or detained but should be released in the absence of substantial evidence. They can also search for weapons especially if they believe that an individual is armed or poses an imminent threat to them and to the public. In terms of searching their homes or cars for weapons or other pieces of evidence, a reasonable suspicion cannot do that. The thing is, probable cause has more weight in the investigation as it will give authorities the power to issue a warrant of arrest as well as perform a thorough search. When a police officer wants to obtain a warrant for probable cause, they will need to sign an affidavit stating facts why the probable cause exists in order to arrest a suspected individual. A judge issues a warrant if they agree that there is a probable cause. Once a warrant has been issued, they can arrest someone, conduct a search, or seize a property. It is good to know that the two always go together. Reasonable suspicion usually happens before it is escalated into a probable cause. This happens during the initial stage of the investigation especially when the circumstances are only within a reasonable suspicion level (with the absence of solid evidence). As the investigation moves further, the facts can become more obvious thus raising the suspicion into a probable cause. Remember that one can be temporarily detained with reasonable detention but there are times when detention can be escalated into arrests. Unfortunately, the point where the arrest happens is not always clear for most people. When police officers arrest people or put them in restraint, it is usually triggered by the constitutional requirement of probable cause. 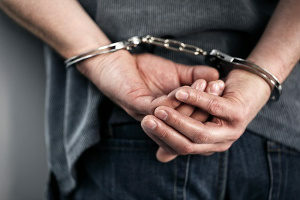 If you are arrested, charged or searched without probable cause, you can file a civil lawsuit to the authorities for malicious prosecution or false arrest. It definitely pays to know your rights! Both the reasonable suspicion and probable cause are the most important concepts in criminal law. Now God forbid that you will get arrested in the future but if you do or know someone who is wrongfully searched, you need to know about these two so that you can protect your right as well as your friends’ rights. Moreover, you also need a lawyer who is experienced in criminal law and defending clients in the federal court. An experienced lawyer will ensure that the investigators will follow the rules for evidence gathering as well as arrest. If you need a defense attorney, visit our site today.